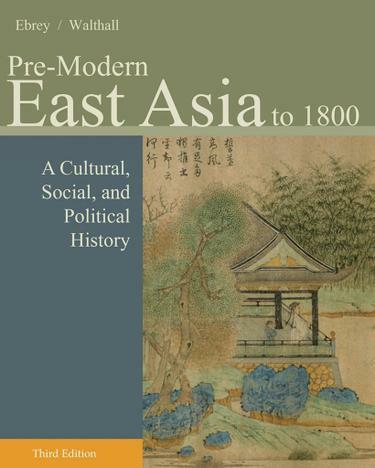 Written by top scholars in the field, PRE-MODERN EAST ASIA: A CULTURAL, SOCIAL, AND POLITICAL HISTORY, VOLUME I: To 1800, 3E delivers a comprehensive cultural, political, economic, and intellectual history of East Asia, while focusing on the narratives and histories of China, Japan, and Korea in a larger, global context. Full color inserts on such topics as food, clothing, and art objects illustrate the rich artistic heritage of East Asia. A range of primary source documents is included throughout, while intriguing biographical sketches highlight the lives of popular figures as well as ordinary people.